The first half of the 2007 season was an indicator that two eras were on the wane for the Houston Astros. The team itself was 32-46 and 14 games out of first place after a June 27 game against Milwaukee, which was a departure from the competitive squads that had finished either in first or second place (with the exception of 2000, their first season in their new ballpark) every year since 1994, and had played in the World Series only two years earlier. 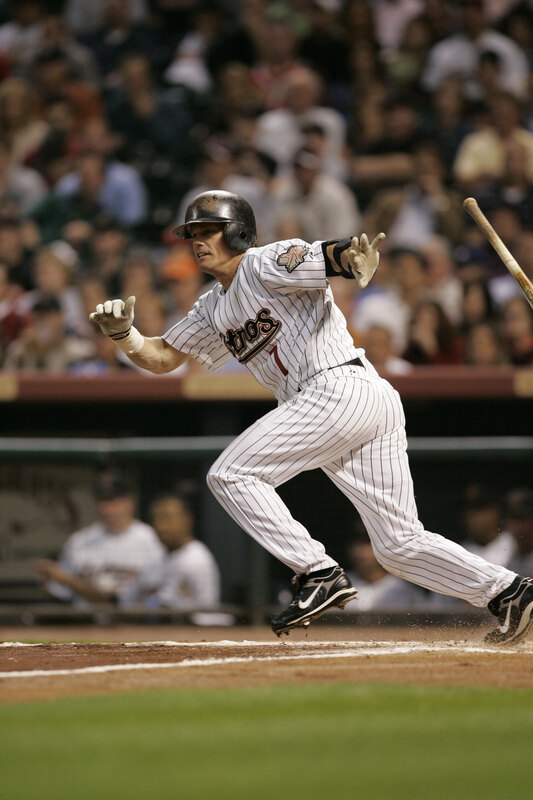 In addition to that, team icon Craig Biggio, who had been a member of the Astros since 1988, was nearing the end of his days as a major leaguer. As the 2007 season began, Biggio was 70 hits short of the coveted 3,000 mark, but his pursuit of this goal was such a slow crawl that it had generated little genuine excitement in Houston. The Astros had just completed a 2-7 road trip and were now at Minute Maid Park to face the Colorado Rockies for the first four games of an 11-game homestand. Biggio entered the day batting a meager .238, but he was now only three hits shy of 3,000 and, in spite of his struggles at the plate, was more than likely to reach that number against the Rockies. The only question was in which game the milestone hit would come. The 42,537 fans who jammed Minute Maid Park on June 28 hoped to witness history in the first game of the series. The Astros sent their ace, Roy Oswalt, to the mound to oppose Colorado’s Aaron Cook. Both pitchers allowed their share of hits but each also managed to limit the damage to only one run for his opponent through the first seven innings. Thus, the majority of the excitement during that span occurred each time Biggio came to the plate. Biggio batted in his customary leadoff spot, so the fans – who were on their feet for most of the game – did not have to wait long to see him hit. To their disappointment, he was retired on a weak grounder to third base in his first at-bat. After Chris Iannetta gave the Rockies a 1-0 lead on a solo home run in the top of the third, Biggio batted for the second time in the bottom of the frame. This time – as the home crowd applauded and raised its usual chant of BIG-GI-O, BIG-GI-O – he lined a single to left-center field for career hit number 2,998. Oswalt and Cook continued to pitch their way in and out of trouble, but little of note happened until Biggio came to bat for the third time in the bottom of the fifth. He hit a grounder to third baseman Garrett Atkins, whose throw went past first baseman Todd Helton. It was a close play that was ruled a hit and an error on Atkins, allowing Biggio to accumulate hit number 2,999 and advance to second base. Brad Ausmus led off the bottom of the seventh with a single and advanced to second on Eric Bruntlett’s sacrifice bunt. After pinch-hitter Orlando Palmeiro grounded out, Biggio had his first shot at the landmark hit he had been chasing all season. On a 2-and-0 offering from Cook, Biggio stroked a line-drive single to center field that scored Ausmus and tied the game at 1-1. Biggio never slowed down as he rounded first; he clearly wanted to stretch the base hit into one of his trademark doubles and was thrown out at second base by center fielder Willy Taveras, his former Astros teammate. It was the first time a player had reached 3,000 hits on a play in which he was retired, but that did not matter.1 Biggio had become the 27th player to reach the milestone, and the game was stopped for almost ten minutes so that he could be honored by the team and the fans. The fans roared their approval as a banner of Biggio and the number 3,000 was unfurled on the outfield wall, and Biggio was mobbed in succession by his Astros teammates, his wife, Patty, and daughter, Quinn, and then his batboy sons, Conor and Cavan. Once play resumed, the floodgates opened and runs poured out for both teams in the eighth inning. In the top half of the frame, Atkins doubled and scored on a pinch-hit home run by Ryan Spilborghs. The Rockies’ shortstop, Troy Tulowitzki, then singled, stole second, and scored on a single by Iannetta to make the score 4-1 in favor of Colorado. The lead did not last long as the Astros pulled even at 4-4 in the bottom half of the inning on the strength of a solo homer by Lance Berkman and a two-run shot by Mike Lamb. Biggio amassed hit number 3,001 in the bottom of the ninth but was quickly erased on Hunter Pence’s fielder’s choice grounder to Tulowitzki. As Pence attempted unsuccessfully to steal second, Berkman struck out, ending the inning on the double play, and, with the score still tied at 4-4, the game went into extra innings. Astros reliever Dan Wheeler struck out the side in the top of the 10th, then Brian Moehler took the mound in the 11th and surrendered a leadoff home run to Tulowitzki that gave the Rockies a 5-4 advantage. I had two tickets to each of the first three games of the Astros-Rockies series and was certain that Biggio would record his 3,000th hit in one of those games. I invited different friends to attend the different games, but when no one was free for June 28, my reluctant wife accompanied me. As the crowd went wild after Biggio hit his mark, my wife turned to me with tears in her eyes and said, “I’m so happy for him.” Maybe it was because she was two months pregnant, or maybe she truly was caught up in the moment. I always tell my son, who came along seven months later, that he can say he was in attendance at this historic game, even if he was only about the size of a kiwi inside his mother’s womb. 1 National Baseball Hall of Fame, “The 3,000 Hit Club – Craig Biggio,” exhibits.baseballhalloffame.org/3000_hit_club/biggio_craig.htm, accessed March 20, 2008. 2 Alyson Footer, “Biggio shares moment with Bagwell,” houston.astros.mlb.com/content/printer_friendly/hou/y2007/m06/d29/c2055760.jsp, accessed July 9, 2007. 3 Ben DuBose, “Lee caps historic night with grand slam,” houston.astros.mlb.com/content/printer_friendly/hou/y2007/m06/d29/c2055593.jsp, accessed July 9, 2007. 4 Alyson Footer, “Biggio reaches 3,000-hit milestone,” http://houston.astros.mlb.com/content/printer_friendly/hou/y2007/m06/d28/c2055088.jsp, accessed July 9, 2007.